Easy Map Creator Pro is the advanced version of Easy Map Creator. Work faster and even more detailed with your grid and mappings. With Easy Map Creator Pro you can accurately select, on a pixel level, which design color needs to be the transparent color. Since the new developments on masking and transparency customers experience the endless possibilities that Easy Map Creator Pro offers regarding the pre-paration of images and dynamically rescale and rotation of your fabrics and designs. Another popular feature is the ability to pick colors for color assignment directly from the original image or from the resulting image. This function is very useful if you want to color coordinate some part of your original image to a fabric or design that has been mapped earlier. Easy Map Creator Pro is our most sold solution of the Easy Map Suite. � Dynamical rescale and rotate fabric and designs. � Identify specific colors for transparency. � Visually change or shift the origin of the mapping to fit exactly the position of the design within the area to be mapped. � Advanced polyline options to add or extract selections from segments. 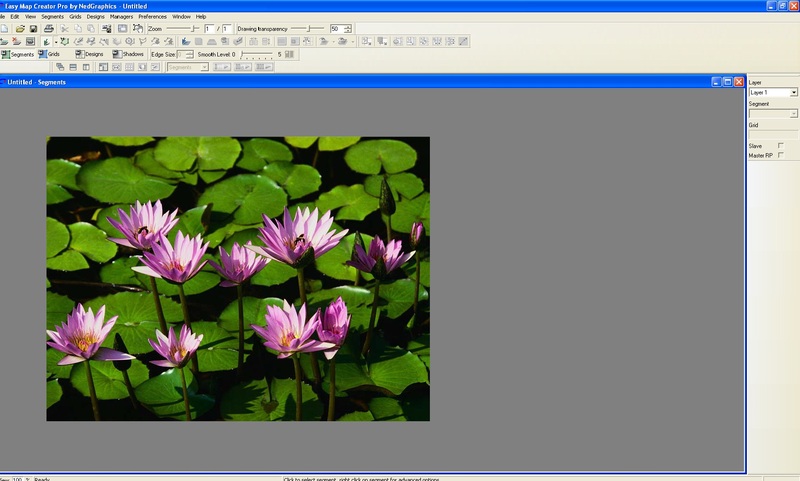 � Import a modified photo from Photoshop for example on the current 3D project. � Automatic copy function from one grid to the others.